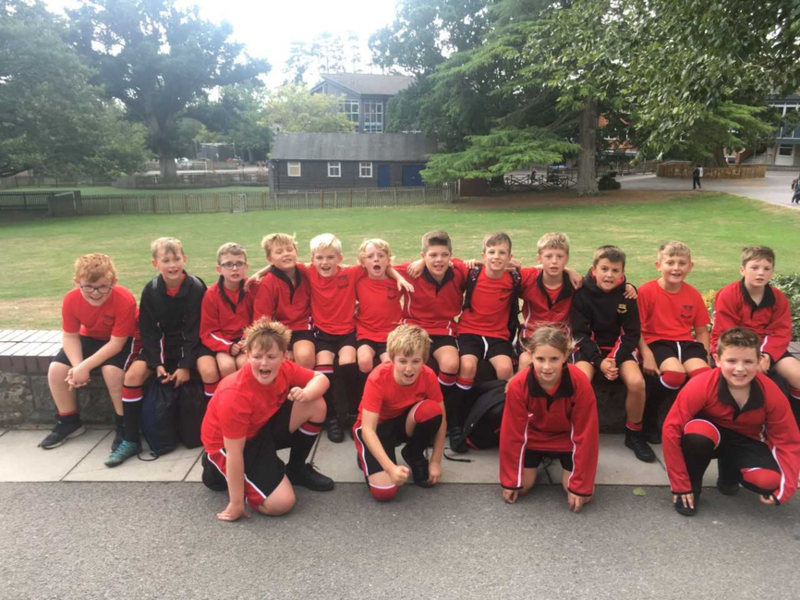 Well done to the year 5 rugby team who put in an inspired performance in the tag competition at Millfield Prep school. 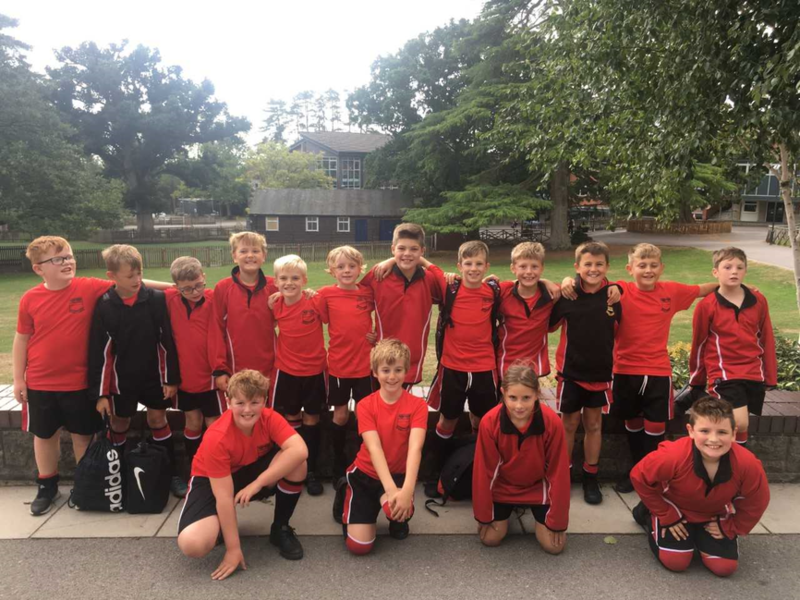 The newly formed side played against the hosts and Kingswood from Bath. From the start Hugh Sexey played a very expansive game with the ball moving wide and with players taking the ball to the line and delivering the ball with accuracy once defenders commit. In truth it is rare to see rugby like this so early and it is a testament tot the coaching a number of the players get at their local clubs. Once you add in enthusiastic players who are new to the game it makes for a very valuable learning experience. Young Harry put in a masterclass in midfield. He often stood at first or second receiver and possessed the unique ability to play the ball flat on the gain line to players moving into the available gaps. Once the defence reacted to this he had the presence of mind to attack the space available. Ronnie and Dylan were two players to benefit from this style of play and they both had a number of rampaging runs down the wings. Lucy and Louis also had good games with both players often in close support of the ball. What pleased me the most was how well they operated as a team. Rather than run as far as they could go and then pass when tagged they showed the ability to catch, draw and pass. This was best displayed when Josh burst through the midfield arched around his opponent and then stepped in to release Ronnie for a clear run to the line. It made for a very entertaining game. Well done to all the players involved and thanks to Millfield for hosting.